Holly Shaw: Odds. And Some Ends. I was so looking forward to today, the day that schedules returned to normal after the Thanksgiving holidays. It's not that I don't adore my people and love being around them constantly, because I do, but I also adore some quiet alone time. It's just programmed into my DNA. So I was ever so excited to watch Scott drive off to work and take Annelise to school this morning. But I had a headache. Thankfully it was not quite a migraine but it was still a migraine's red-headed step-child and required me to crawl back into bed, shutters closed until well after lunch. I guess I got my alone time. I'm happy to report that fall has finally been packed away. I'm actually quite giddy about that because looking at my pumpkins and fall leaves was making me want to vomit. No, we don't have a morsel of Christmas up yet, but I'm trying not to let that get me down. I'm feeling a strong urge for a simpler Christmas season this year, less focus on the fluff and tinsel and more focus on the important stuff. I'm not exactly sure how this feeling will manifest itself but I will tell you I'm looking forward to starting our Jesse Tree thanks to Ann Voskamp's free devotional. Last Wednesday, Scott had his first pain treatment, which was a sedated cortisone injection, for his neck/shoulder issues. He's supposed to have another injection this week and possibly a third one the following week if needed. Thankfully, this treatment seems to be working and will hopefully provide long-term relief. Annelise was invited over to Pappo and Grandma's house for a sleepover during the week since she was out of school last week. She started packing her bag at like 9:00 am because she was so excited. Scott and I went to see Harry Potter and the Deathly Hollows (!!) and then to eat fajitas (!!). It was the first HP movie I'd ever seen in the theater (remember, I got to the Harry Potter party quite late) and really enjoyed it. It seemed to follow the book fairly close and since there will be two parts it didn't seem rushed at all, which I liked. I will say I thought the, ahem, slightly mature scene with Harry and Hermione, was really unnecessary though. Not crazy, boycott worthy, but not for young kids either. 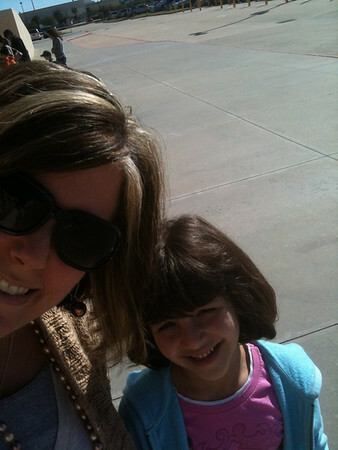 Over the weekend we went to see Tangled and gave it six enthusiastic thumbs up. If y'all get a chance go see it. Really, really fun and family friendly. I guess those are all my odds and ends. Oh, except for one more. I broke up with sugar (again) yesterday, and lasted the whole ding-dang day (!!) until Scott mentioned he was thinking of going to Dairy Queen and wondered if I wanted my usual (a small Butterfinger & M&M Blizzard). How do I resist that? I am a weak, weak woman. Here's to fresh starts and new mercies. Hope your CyberMonday has been outstanding! I used to love Mondays, especially after holiday breaks because I adore being home alone, but today I had to join the routine and be out the door by 8:00...I wasn't physically kicking and screaming but inside I certainly was. I have only ever seen the first Harry Potter movie and haven't read any of the books...talk about joining the party late! 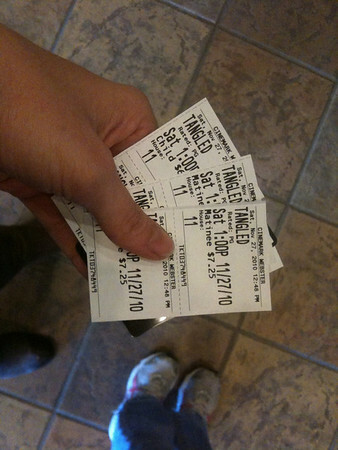 Whitney has been campaigning to go see Tangled, and we tried on Saturday but the two show times we wanted were sold out. P.S. How was that for a comment? 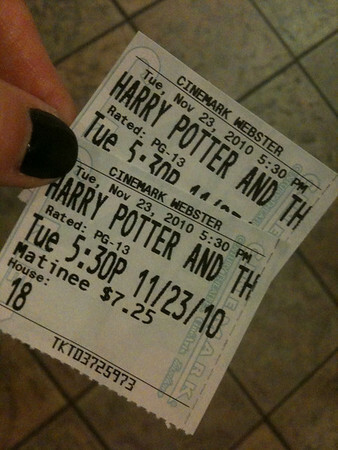 I want to go see H.Potter this weekend... but I'm not sure I saw the last one? I am so thrilled you liked tangled!! I haven't heard much about it- but I've been hoping it was good. I can't wait to get this Thanksgiving stuff down- I completely understand the vomit urges- but I'm not ready for the full blown Christmas stuff either. It just doesn't seem "time?" Sorry about the headache- I love a free monday morning too! There is always Tuesday morning!?? ?